As a child, I spent a lot of my summer holidays with my maternal grandparents. Maybe, my tryst with cooking began in my grandmother’s kitchen where she kept churning out delicacies to feed a large number of family and friends for breakfast, lunch, snack and dinner. And maybe my tryst with ice cream too began during those holidays when my grandfather, practically catering to every whim and fancy of mine indulged me with 2 ice creams of my choice every day, something that my parents would have never allowed. Going back to my mind as a child, I vividly remember contemplating between mango and strawberry, my two favourite flavours back then. 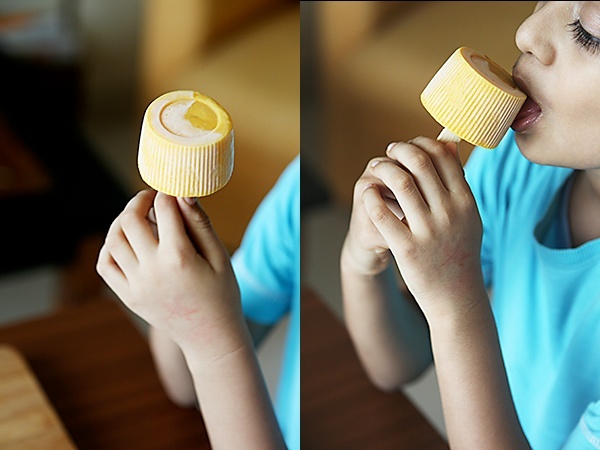 Things haven’t changed much even to this date and I love mango ice cream as much as I did when I was a child, the only difference being that I have started to enjoy other flavours too, with good old vanilla being my all time favourite ice cream these days. Come summer, and I get many requests for ice cream recipes. 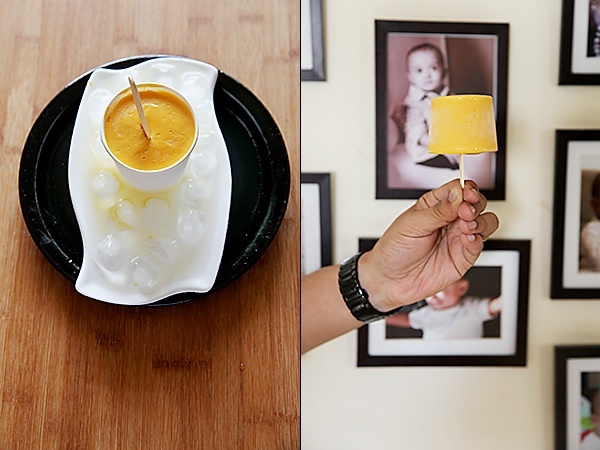 And I wanted to present to you, a simple, easy and quick frozen treat that you can whip up in a few minutes. 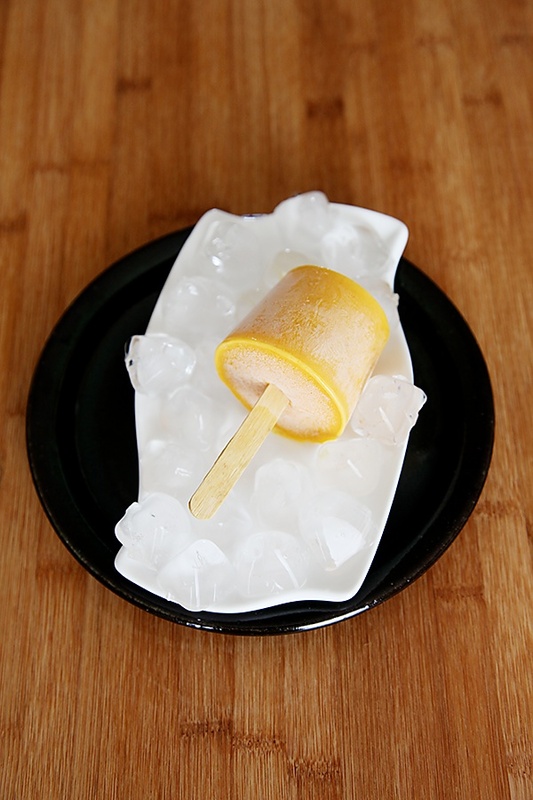 And you don't even need popsicles or ice pop moulds to make these frozen delights as I have used disposable cups (available in most households these days) and silicone moulds to make them. And by involving your kids, you could even make this a fun summertime activity. There is something magical about the king of fruit, the mango! The flavour, aroma, texture, colour and taste of this fruit is simply unmatchable! 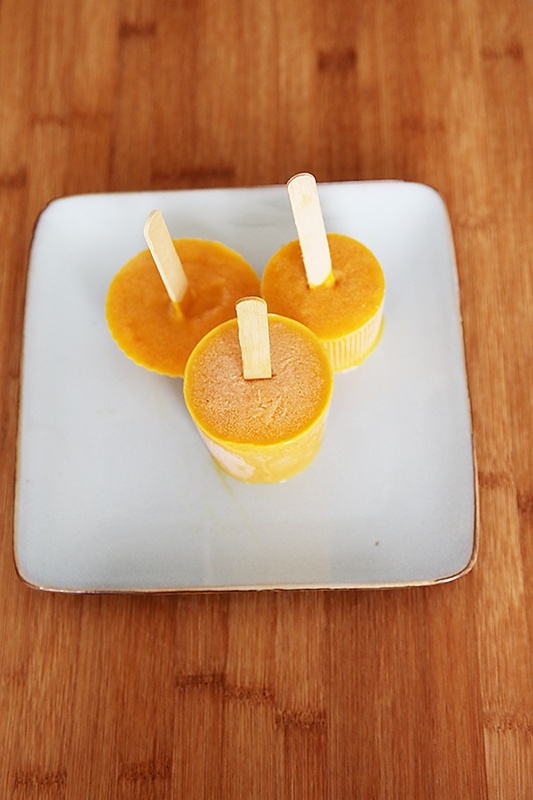 And the mango lends a lush, smooth, creamy and delectable character to these popsicles. One area of my life where I really struggle with, is in feeding my six year old. When he was a toddler and I used to get frustrated with prolonged feeding sessions, my husband used to pacify me saying there will be a day when you will get tired catering to his requests, and I’m still waiting for that day since like most children his age, he seems to be more interested in play. But, one aspect of his childhood that I truly relish is feeding his friends, who relish and cherish the goodies I make, with each one having their own personal preference. So, these popsicles were relished by some of my son’s older friends and this lovely little girl, who also happens to be one of Hari’s first friends. 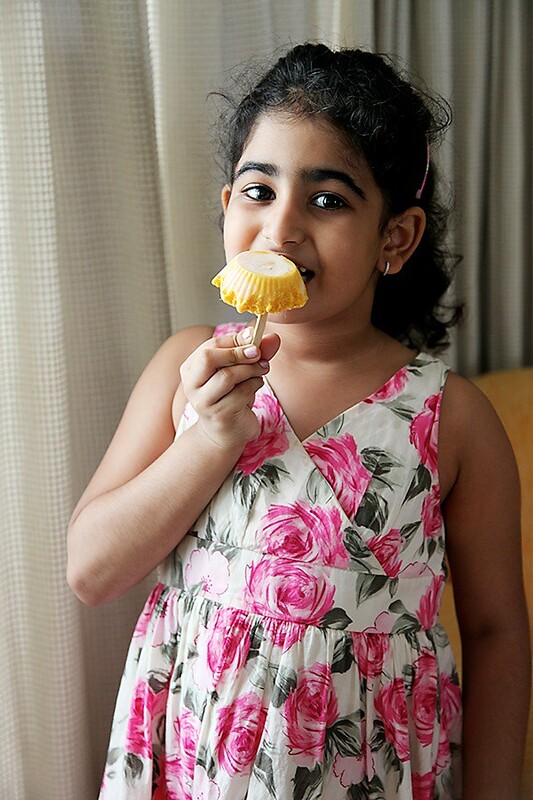 And the best part of making these popsicles for me was when Suhaani exclaimed with delight “yummy”! 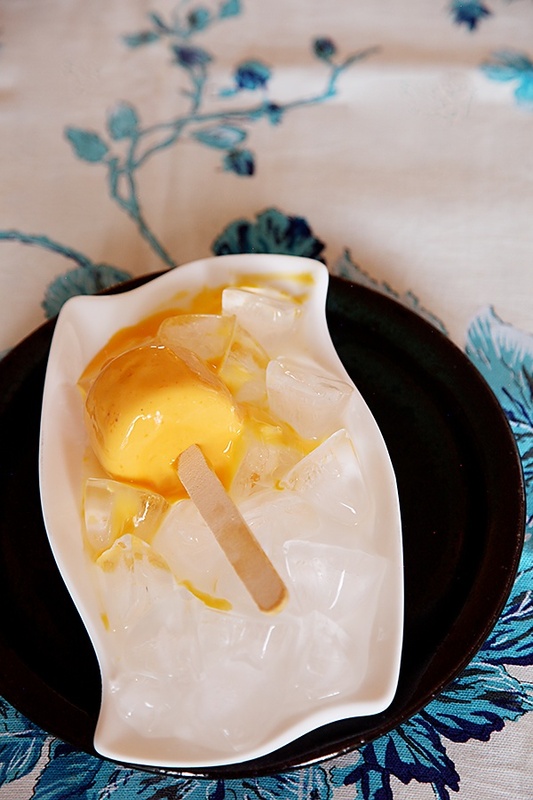 When I had guests at short notice, soon after making these treats, I planned an elaborate lunch menu and with no time left for dessert, it was these popsicles in my freezer that came to my rescue. They also proved to be ambrosial to my guests in this sweltering Mumbai heat! 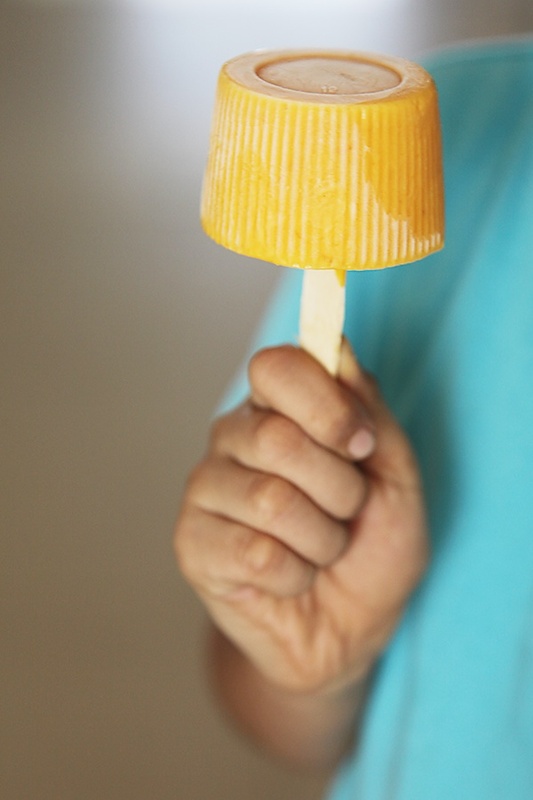 In the end, all I can say is that these mango popsicles or pops or bars, whatever you may wish to call them are enjoyed by kids and adults alike. These are homemade and that is what makes them more special! Make this and bring joy to everyone around you because that’s what ice creams and popsicles do, and last but not the least, do not forget to indulge yourself and drown in the satisfaction of having brought joy to yourself and everyone around! 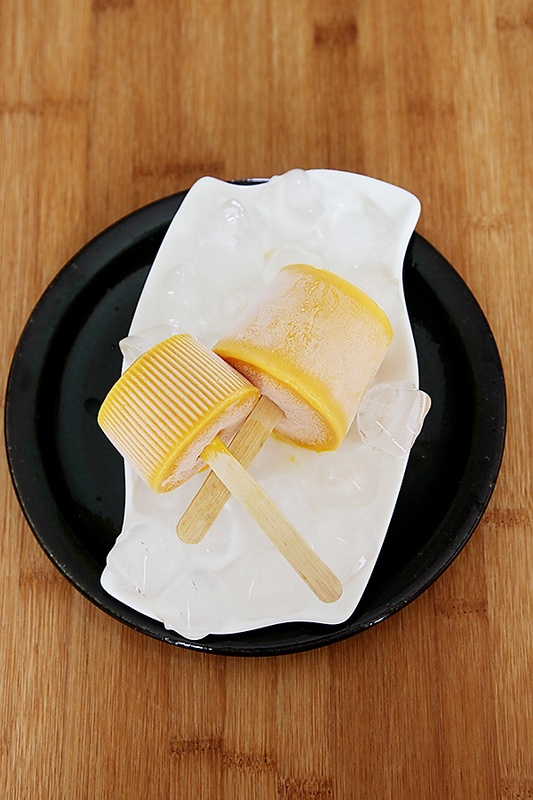 When mangoes are not in season, frozen mango pulp can be used, but let me tell you in advance that it wont taste as good as the ones made with fresh mangoes. 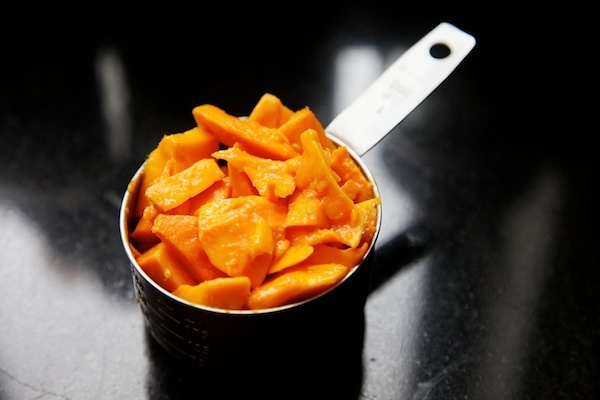 Peel the mangoes, cube them and grind with 4 tbsp sugar. Put the pureed mangoes in a large bowl and pour in the condensed milk, milk and cream. Mix well. 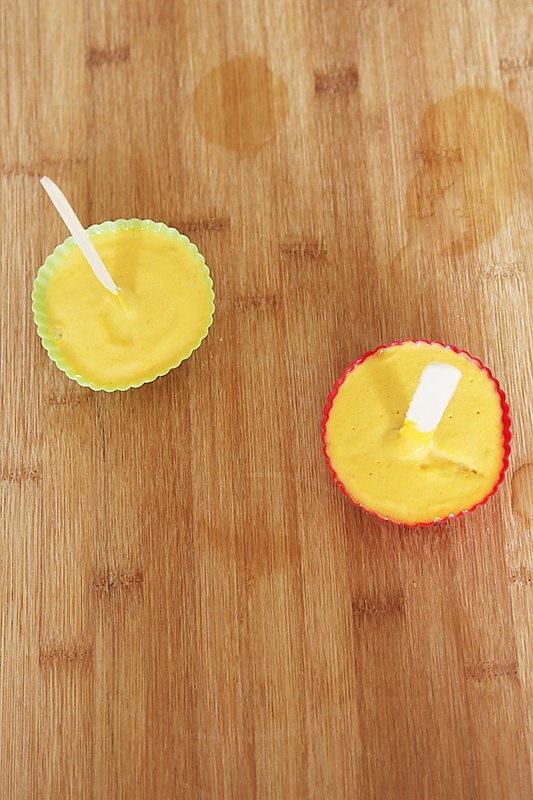 Pour into popsicle moulds or plastic or paper cups. 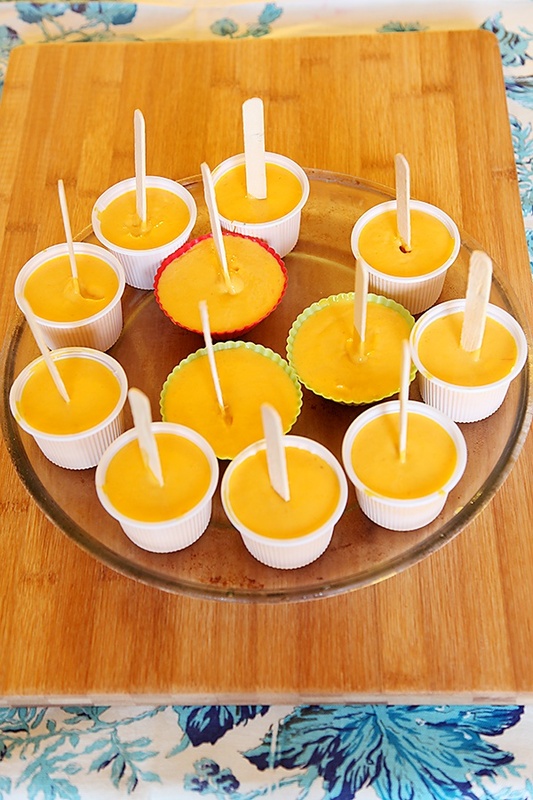 After an hour or when the mango mixture is slushy insert wooden sticks into the cups. Freeze for 4 to 5 hours more or until set. 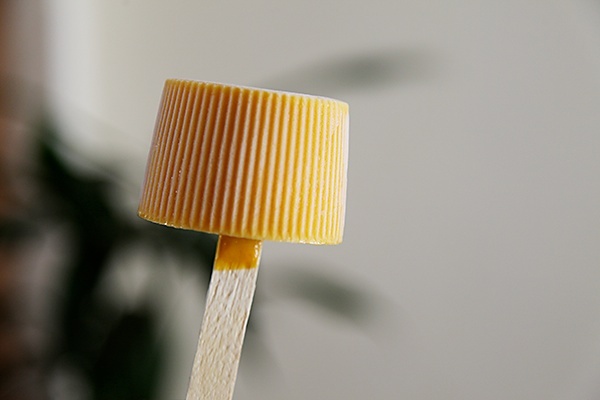 While demoulding, run the moulds or cups in room temperature water and carefully, separate the mould or the cup from the popsicle. Enjoy! Wow this is so drool worthy!! I LOVE mangoes (read Aaphoos) but sadly we don't get Alphonso mangoes here. I miss it so much is it okay if I make this with kesar mangoes? How do you think it will taste? Love such simple yet exotic looking recipes you share! Thanks very much! Those look delicious! 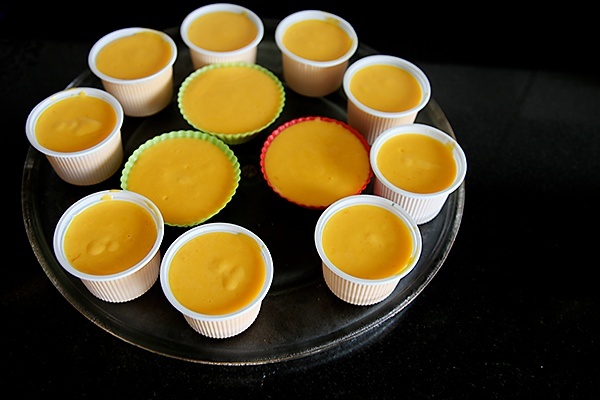 I love mango desserts 🙂 Reminds me of a mango lassi! These sound amazing. Bring back good memories for me too. I live in Tasmamia now, not exactly Mangoe territory but will have to try these as a special treat next summer. Yum!!! Can I make it keep it in freezer for one day and de mould after one day. NSJ- Yes you can substitute any other variety of mango here. Although I'm sure you agree that Alphonso is the best! June- Anything mango is the best! Dianne- Am happy to know that this brought back good memories. My 4 year old absolutely loved it! Bhavana: Thanks for the feedback! Thrilled to hear this! You just made my day! I love mango ice cream! Kelly: I'm so happy to hear that!